Varico are a family business with over 40 years experience in the building plastics and construction industry. Varico Ltd has a wealth of knowledge and are specialists in the supply of polycarbonate sheet, glazing bars and canopies. We have worked with some of Europe's most prestigious building projects including stadia, infrastructure projects and art exhibitions. Registered in 2005, Varico Ltd originally worked with blue chip clients on the specification and supply of a range of the products you will now find on this website. We have an extensive range of products all available delivered to your door within a few days of ordering. 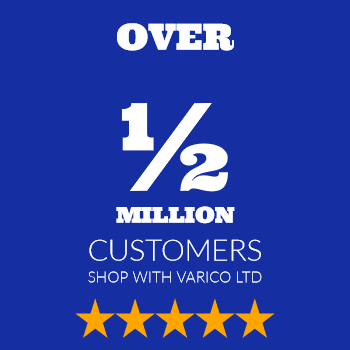 Varico have been trading for some time on eBay and have founded our business with the main aim of giving impeccable customer service, check out our eBay range of products and our feedback, you will find us under baggersbargain on eBay. The customer is the most important part of our business and we aim to make trading with us an easy experience and are on hand to impart our vast knowledge whenever advice is needed. Varico are based in Aldridge in the West Midlands and our central location means we are within easy reach of the M1 / M5 / M6 / M6 Toll / M54 motorways. It also means we are able to deliver nationwide within a few working days. We hope you like our website and if you don't see what you are looking for please do not hesitate to contact us.